If you're looking for examples of our work, then here are some of the latest projects our top tier technicians completed. 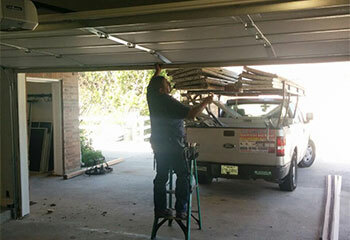 We pride ourselves in being able to repair every type of garage door related problem. 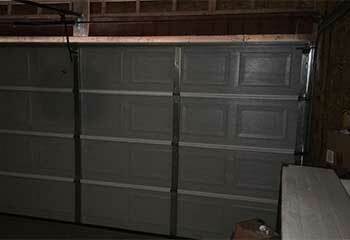 Customer Issue: A severe accident destroyed the customer’s garage door to the point where it was more affordable to replace it than to attempt any repairs. Our Solution: Fortunately, the Elieskoviches’ opener and trolley system were undamaged, but the door, torsion spring system, and safety sensors all needed replacement. A pair of 41A5034 model LiftMaster/Sears photo eyes, and a spring, hinge, and aluminum door panels from the same company were fitted and then tested to ensure safety and functionality. Our Solution: It can be very frightening to hear a spring break, as it creates a loud bang and the unit itself can whip around violently. After carefully removing the damaged spring and installing a new one in its place, we made sure that no other part of the door had gotten damaged as well. 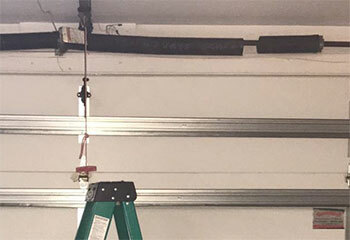 Our Solution: Upon inspecting this customer’s garage door we were able to trace their problem back to a misaligned safety sensor. After carefully adjusting it to the correct position, we were able to restore the door to a safe working condition. Customer Issue: Worn-out door roller. Our Solution: This customer’s door had been making lots of noise, and operating jerkily. This was due to a worn-out set of rollers, and once we replaced them with a new set this customer was left with a smooth, quietly operating door. 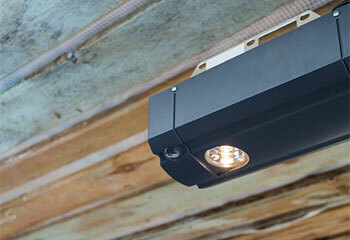 Our Solution: This customer’s garage door opener had failed on them all of a sudden, and they needed a replacement. 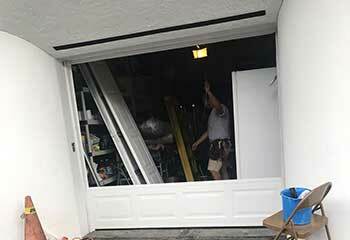 We were able to install a new Hormann 5500 Silent Drive opener quickly, restoring their door to perfect working condition.